The state purchased the Grounds of Kaapin Jouni in 2002, and the site is situated in its entirety in Lemmenjoki National Park. There are very few sites of cultural historical value in the vast Lemmenjoki National Park. 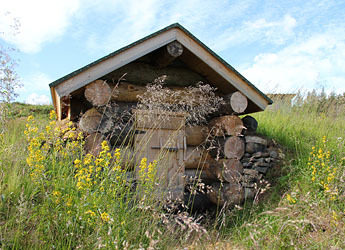 Other historically valuable buildings in the park are found at the old Sallivaara reindeer round-up site (in Finnish) the gold-digging area and the small cottage on the Grounds of Matti Musta. The Grounds of Kaapin Jouni are a significant addition to the whole of Lemmenjoki National Park. The Crounds of Kaapin Jouni is possible to visit with the local enterprises.